You guys! It’s finally here!! 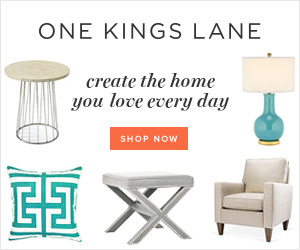 The biggest sale in home decor that I wait for all year long…the Wayfair Way Day Sale! If by chance you didn’t know, Way Day is definitely the ultimate sale for shopping a wide variety of home decor and furniture at the best prices of the year! *Thank you to Wayfair for sponsoring this post. All opinions, thoughts and images however are my own. Please find my full disclosure policy here. Do you love a great deal plus free shipping? If so you’re in luck! 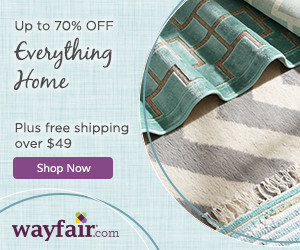 Wayfair makes is so simple and easy to create a home you love with its annual Way Day sale. Wayfair as you know is one of my absolute favorite brands but also is one of the largest online destinations for the home with over 10 million products on their site. And, fast, free shipping over $49 makes it even more exciting, don’t you think? 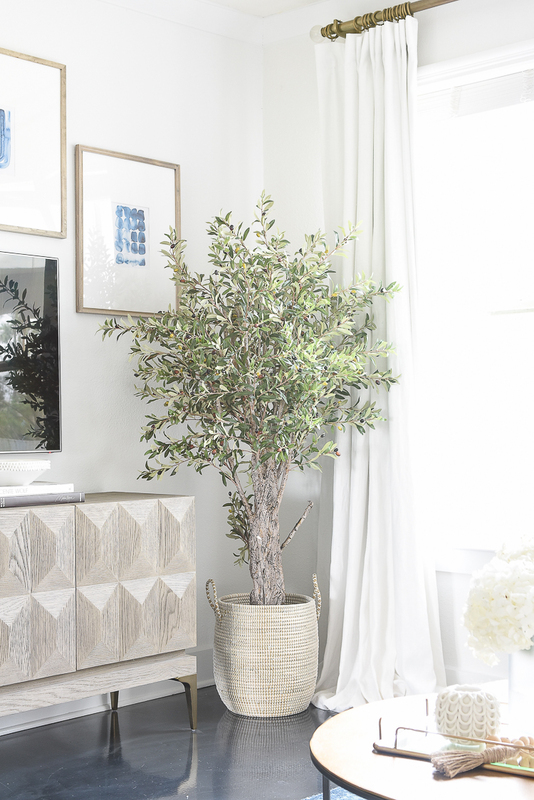 Today I’ll be sharing with you some Wayfair favorites from my home but, I’ll also be sharing several of my favorites from the sale this year that I hope you’ll love too! 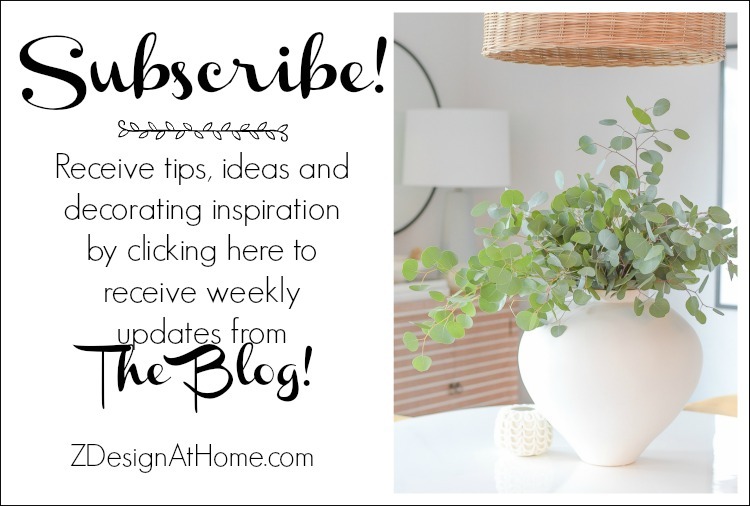 These are all recent finds from Wayfair that I love, and that my readers love too! I love this round, black mirror and especially love the stopwatch detail on top. I’ve had it a few months but still can’t get enough of it. This chest is also a very recent favorite! It’s just the right shade of wood for today’s current styles and I love the horizontal stripe detail as well. 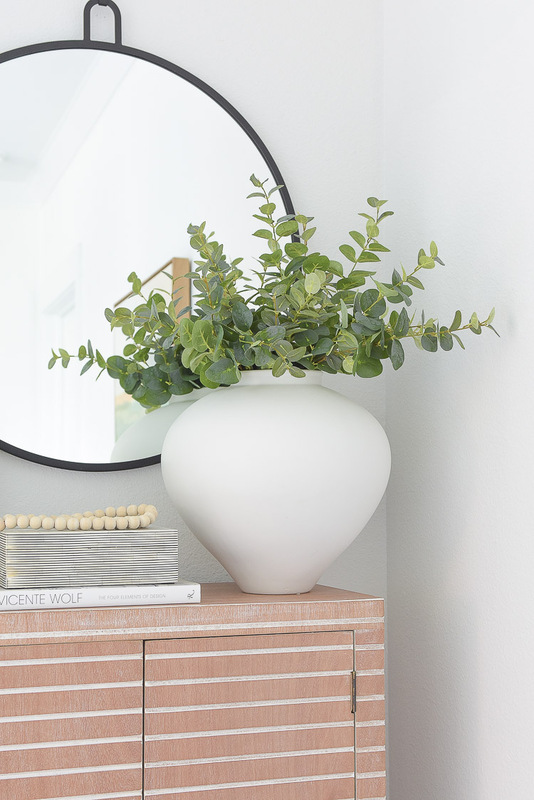 This oversized, white vase has been a huge favorite with my readers, and I have to say I’m smitten myself! It’s so great holding some faux eucalyptus or fresh flowers. Just love it!! 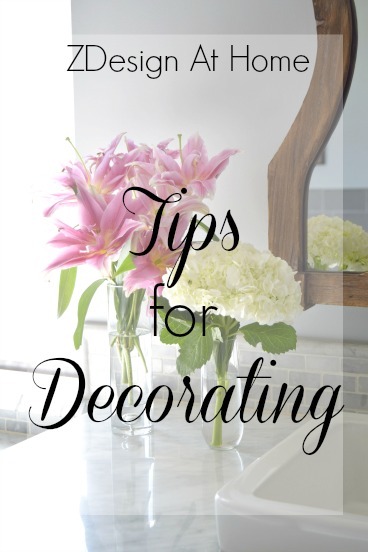 And who can’t use a pretty white vase? 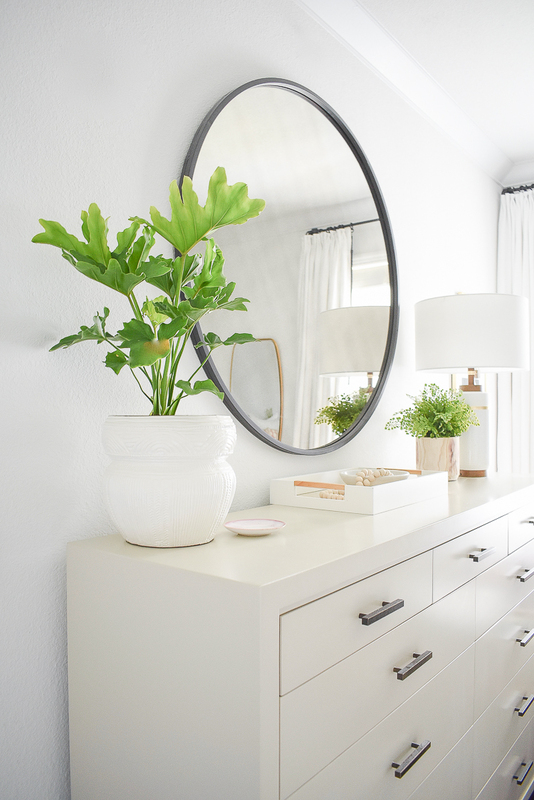 White vases are so versatile and can go anywhere in your home with fresh or faux flowers. 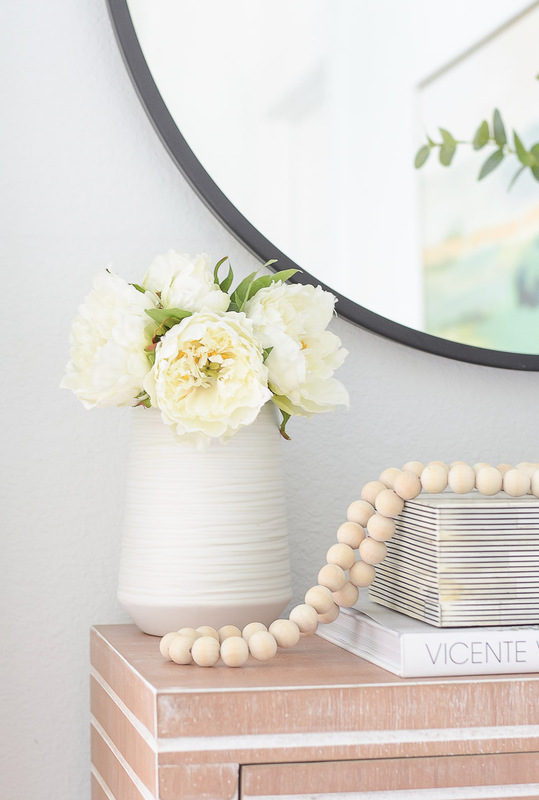 Right now I’m really getting back into good quality faux flowers and this white peony bundle from Wayfair never disappoints in any spot in my home. 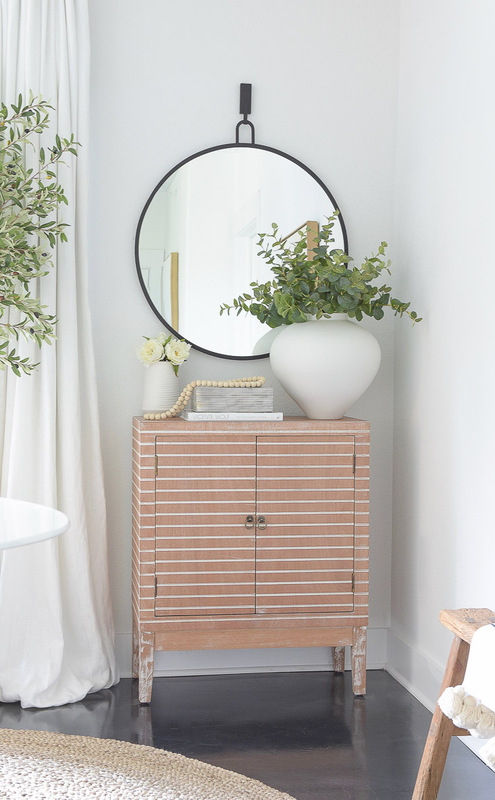 I also really adore this black and white striped decorative box. I use it all over my home for various things so it actually serves a useful purpose. Usually keep it by my husband’s side of the bed to hold essentials. Yes, he loves it too! 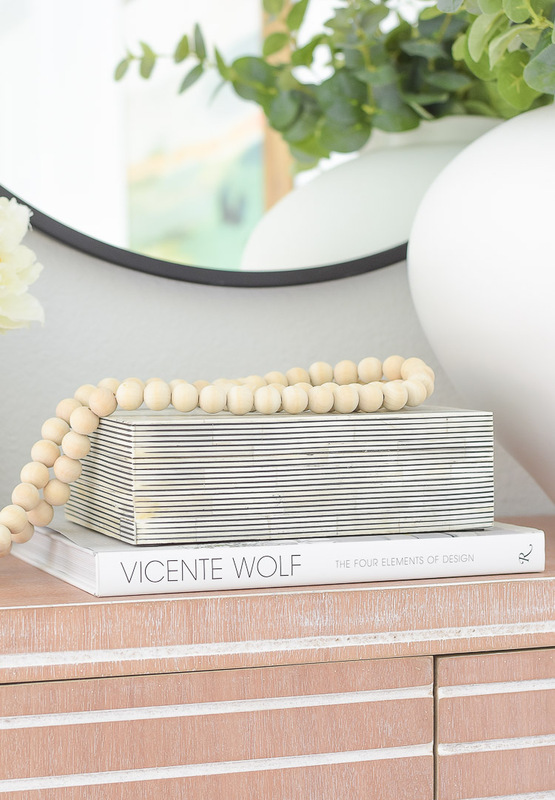 And then of course wooden beads…this is by far my all time favorite accessory. 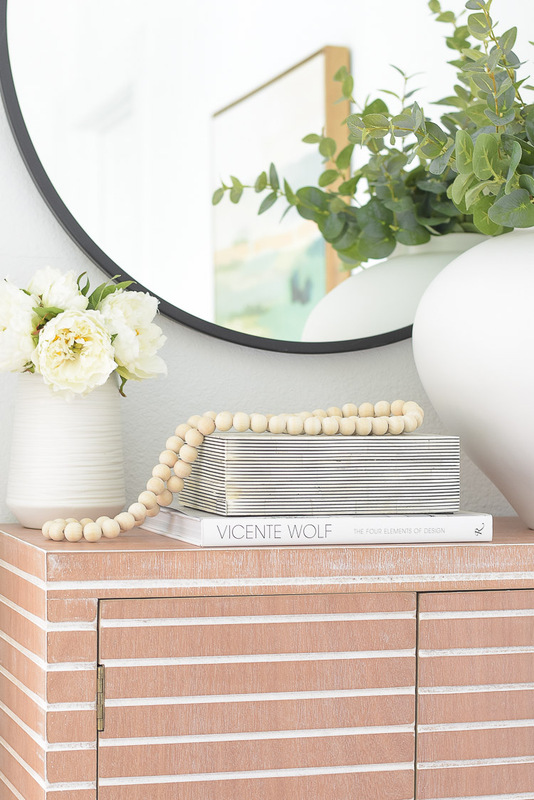 Beads are great to add color, texture, shape and to fill in any awkward spot in a vignette. I also really love this mirror in my entry. It’s also a big reader favorite! 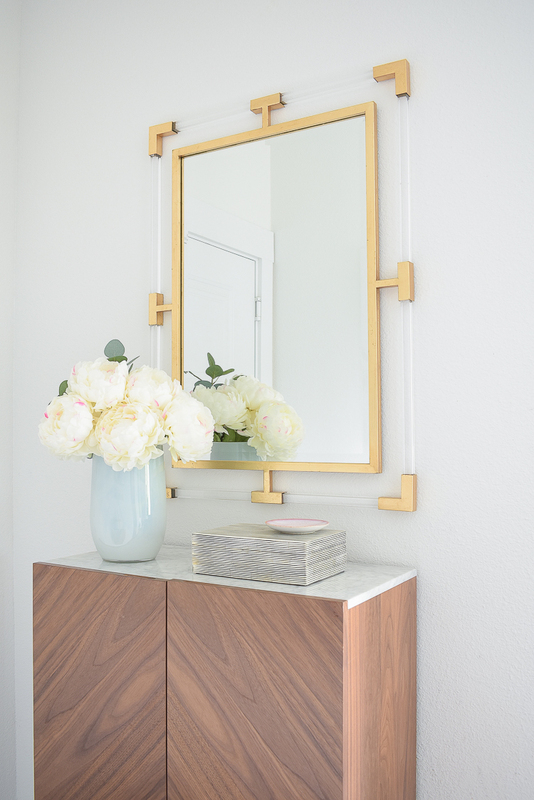 The lucite and gold together just make it sparkle and it definitely makes a statement in our small rental entry. And, here is the black and white striped box again – just love both pieces! 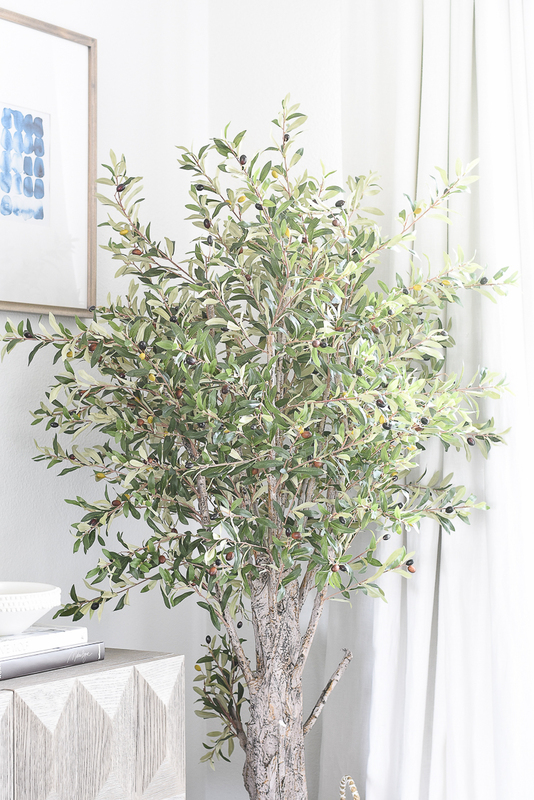 Another item from Wayfair that I’m crushing on hard lately is my faux olive tree. Love the life it brings to the corner of my living room and the quality is unmatched, I believe. I looked at several before I purchased this one and am so happy I did. It’s perfect and I love how full and realistic it is! 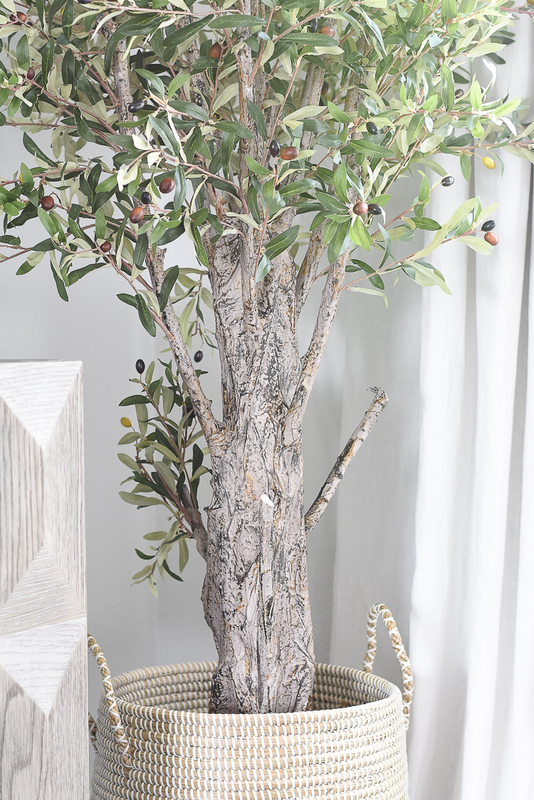 Love the realistic trunk, leaves and olives also! Also really love this round mirror in my bedroom from Wayfair. Mine used to be gold but I painted it black for the One Room Challenge last year. I’ve linked gold and black for you here below though. 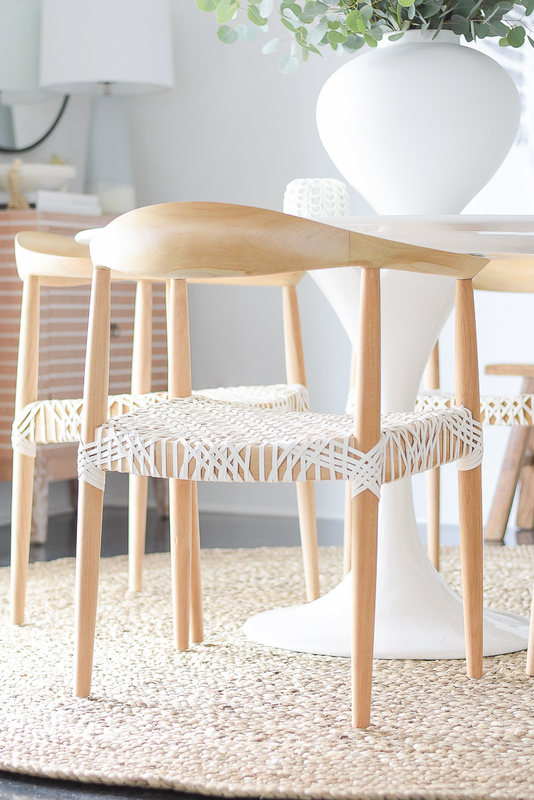 Also noticed that Wayfair carries my dining chairs that are hard to find! Love them so much and they are really comfortable too! 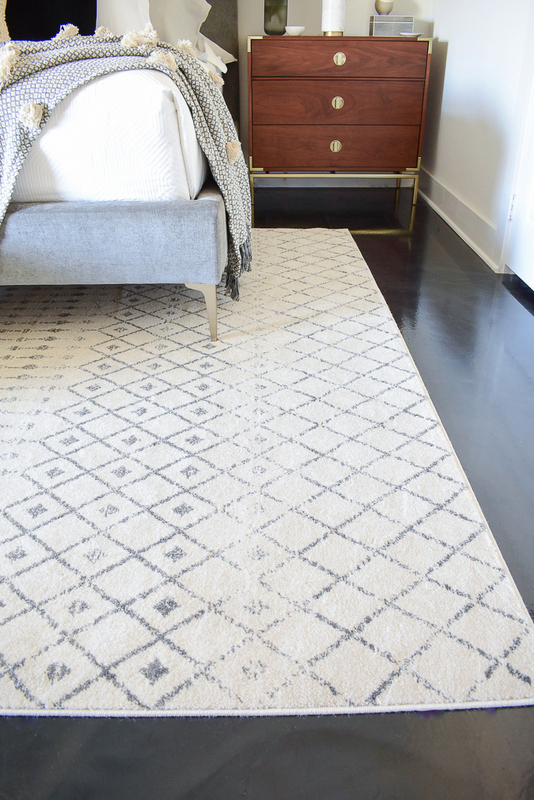 Moving on from my Wayfair favorites from my home to my favorite picks from the Way Day Sale! 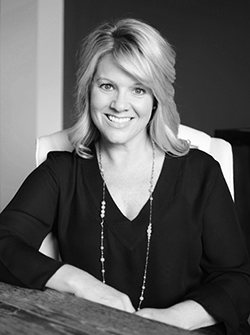 Below you’ll find all of the items from Wayfair, AllModern, Joss & Main & Birch Lane that I love, that all fall under the Wayfair brand umbrella.